Supplying to a range of supermarkets, including M&S and Asda, Finnebrogue’s £25m investment in a completely integrated new 165,000sq.ft processing facility in Downpatrick has transformed the business. This has allowed the business to grow both the product ranges and volumes, with complete oversight of its operations. Additional significant investment has been undertaken in transforming the “old” site into the UK’s first nitrate free bacon manufacturing facility. Planned and implemented, in collaboration with SI, the integration pathway for the new facility benefitted from knowledge gained over a four-year relationship between the businesses. This relationship started in September 2014, when SI was introduced to Finnebrogue by its interim Programme Manager Tariq Habib. 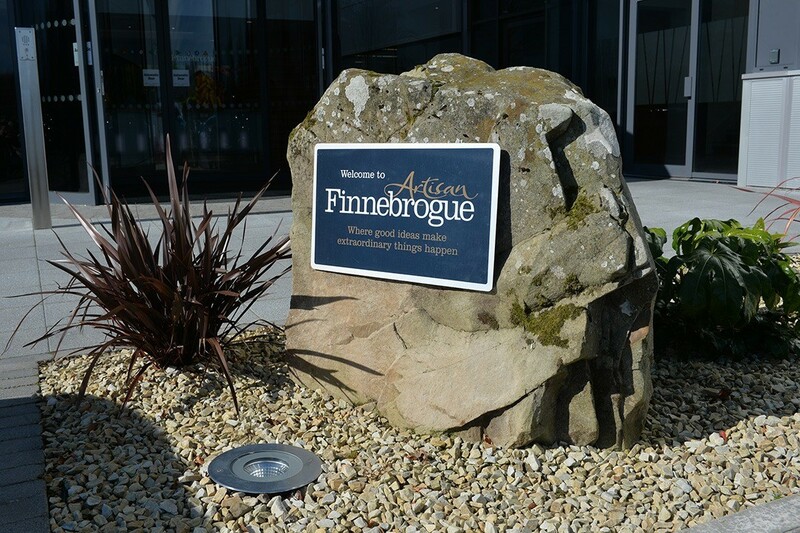 Commenting on Finnebrogue and its SI integration process, Tariq said: “Being a dynamic family run business, Finnebrogue can make decisions very quickly, especially when it comes to changes in products and entry into new underserviced market sectors. But with speed, we also recognised the need for efficiency, quality and traceability, particularly as we are dealing with premium products. This is the reason we chose to work with SI, as we could see that the team was both flexible and aligned to our culture of getting things done. “Our approach to achieving our goals is very simple. We always look at what’s wrong, to figure out how to make it the best it can be, without being bound by the way it has always been done. To do so, we not only need to consult with our staff, customers and consumers, but we also ensure that our equipment and processes are optimised – it is here that SI comes in. This is because for any system to work effectively, it needs to be implemented properly, by a team that understands the industry that they operate within. “The reason we chose to work with SI was that we could see that the team was both flexible and aligned to our culture of getting things done.” Finnebrogue. “SI has the ultimate task of making workable connections from one system or piece of equipment to the next, creating the integration and making it work, no matter what the individual data capture and management challenge might be. As part of the integration process, SI and Finnebrogue reviewed each part of the production process, replacing manual entry tasks, with digital readers and barcodes, whilst eliminating paperwork, by digitising QA, traceability and despatch. Throughout the implementation, data entry points were integrated into the solution, with single points of data capture used to eliminate duplication of data. Tariq continued: “A vital part of having ‘one version of the truth’, that the integrated SI solution gives us, is the importance of measuring and reporting on key areas of the business, particularly when it comes to audits. This is the reason why we took the opportunity, when making other significant investments, to completely change our QA and traceability. We have moved from a combination of disparate manual paper-based and third-party systems, towards a completely digitalised process. This new approach offers significant benefits. For example, with our new bacon line, we can pull off audit data reports in a matter of minutes, a process which would have taken hours with our previous paper-based approach. To develop the exacting recipes for Finnebrogue’s succulent products, which are based on the in-depth consumer feedback, research and testing, accurate stock management and control is very important to its operations. SI’s stock control system combines data on raw material, allocates stock for individual recipes, controls WIP and the final product that is ready for despatch. It also simultaneously updates the bill of materials in real-time, whilst preventing any unwanted products from being used in a recipe. This is made possible by the automation of product allocation, with ingredients weighed and measured to controlled tolerances. The stock control system has also had a positive impact on raw material management. It’s improved forecasting has led to supply chain partners being able to reduce, or increase stock holding, according to demand. This has streamlined deliveries, reducing holdings of expensive perishable products. And with a better-managed stock holding on short shelf life materials, it’s contributed towards fewer downgrades and reduced waste. One of the major integration projects undertaken by the Finnebrogue and SI team, related to the despatch and back end of the process. This involved the full automation of palletisation, including standard retail pack (SRP) and M&S trays. The new process sees each tray/box taken from the end of the production line, stacked and dollied, without any human intervention. To achieve this automation, SI worked with IO Systems, Finnebrogue’s robotics supplier, to integrate the process. This involves the SI solution informing the IO system as to what’s coming through the line, so it knows what to do. This includes the provision of data to enable the IO system to create the correct labels for each pallet. As a result, this part of the operation requires minimal staffing. For Stock control, an automated warehouse management solution has been implemented. Here, SI has been working with forklift truck specialist Linde, to integrate and support the deployment of an automated forklift truck pallet storage solution. By sending data-driven instructions to the forklift truck solution, Finnebrogue can control the put away of all pallets. This means they can identify the stock that needs to be despatched, automatically knowing a pallets contents and location because it is centrally linked to the SI stock control module. Tariq: “By moving from processes driven by manual intervention and spreadsheets, such as despatch, to a completely integrated barcoded system fed by the main SI hub, we have eliminated errors, whilst ensuring pallets are loaded with the correct products, before being released. In developing the implementation of dashboard visualisation, SI and Finnebrogue looked at various opportunities to support the increased awareness of data-driven insights, throughout the business. This led to the creation and deployment of a series of active dashboards, to highlight KPIs and analyse trends across the business in real-time. The process of introducing dashboards is ongoing as Finnebrogue continue to automate key management information. Usually associated with production, dashboards were also rolled out for finance and sales. Negating the need to run multiple, complex reports, where data shown expires by the time they are run, the dashboards show the key figures for the different departments. For example, production dashboards allow the team to better manage throughput rates, waste and giveaway, whilst sales dashboards provide a general overview and breakdowns by different categories. 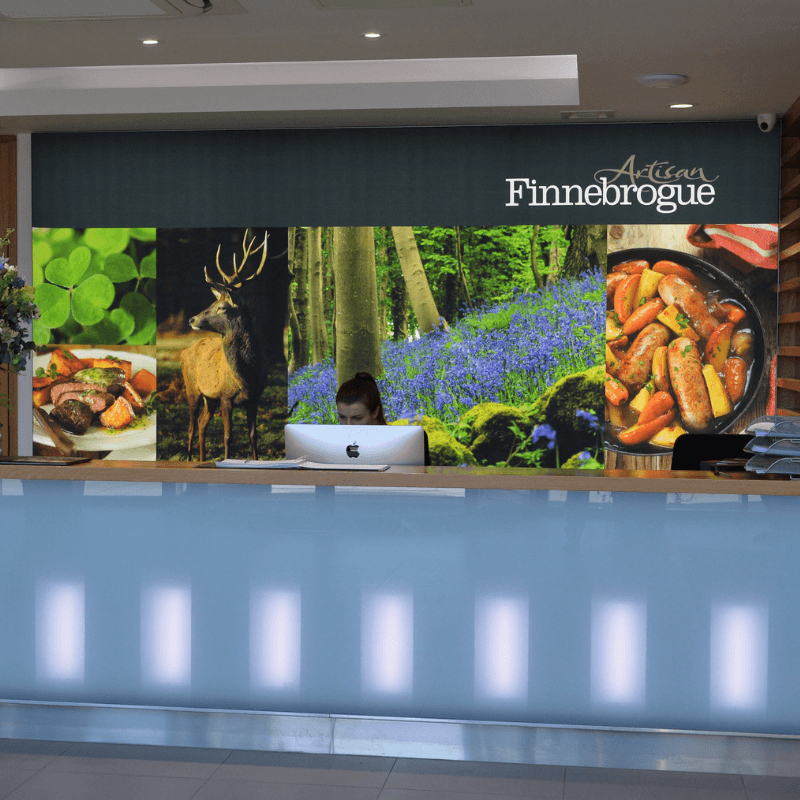 To stay one step ahead of the competition, Finnebrogue not only looks to increase the supply of its existing ranges, but it also proactively works to take products ideas to its supermarket customers, which comprise most of its sales. A good example of its new product development has been the creation of the UK’s first ‘Artisan Finnebrogue Naked Bacon range’, made without artificial additives or nitrates. The success of the now expanded ‘Naked range,’ was a key driver to the creation of its new SI integrated bacon production line. Tariq: “We have always been innovators and committed to continuous improvement, but now we have a much better understanding the cost base associated with creating products. Thanks to the information we get from the SI system, we have a clear picture of margins and we use SI’s software to measure our weekly performance against the standards that have been set. We have built clear product management processes within the business to ensure that the system is always populated with up to date information and standards, to help us deliver the best possible service for our customers. 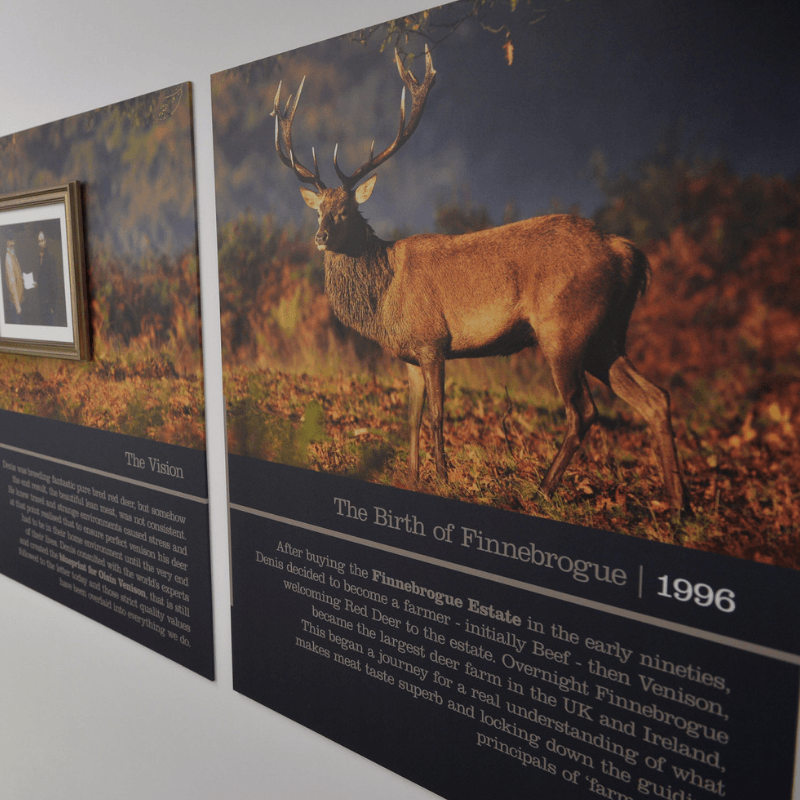 This is important for Finnebrogue not just from a cost perspective but because we use the system to order the correct materials and quantities required to manufacture our products. Tariq: “My advice to any business looking to undertake a similar integration journey, is to play to harness the power of the software. The system must be fit for purpose and used in a managed way, that is focused on improving your business. You need to be prepared to re-engineer your processes and organisation and take a much more open approach to changing the culture of how your business operates. By challenging your food ERP and software supplier and internal teams to support and suggest changes to operations and systems, you really will be able to profit from the power integration delivers. New £25m 165,000 sq. ft sausage production facility launched in May 2016. New Nitrate Free Bacon facility commencing production Jan 2018 offering the UK’s first nitrate free bacon into the retail market. New dedicated vegetarian production facility planned to be operational in January 2019. Sausage Factory Operates 6 days per week. Products produced include sausages, beef burgers, bacon, venison, pork and lamb products. It also produces a range of vegetarian and vegan products 95% of products are supermarket retail focused. 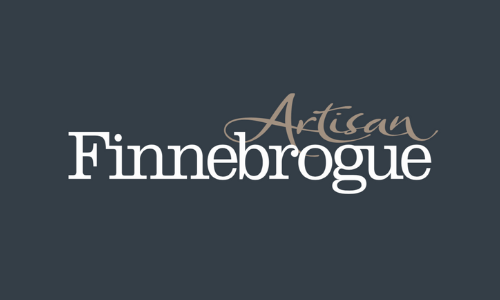 Finnebrogue Artisan is a multi-award winning food manufacturer based in Northern Ireland. Chairman Denis Lynn’s guiding principal has always been to make a better product than anything else that was available on the market. 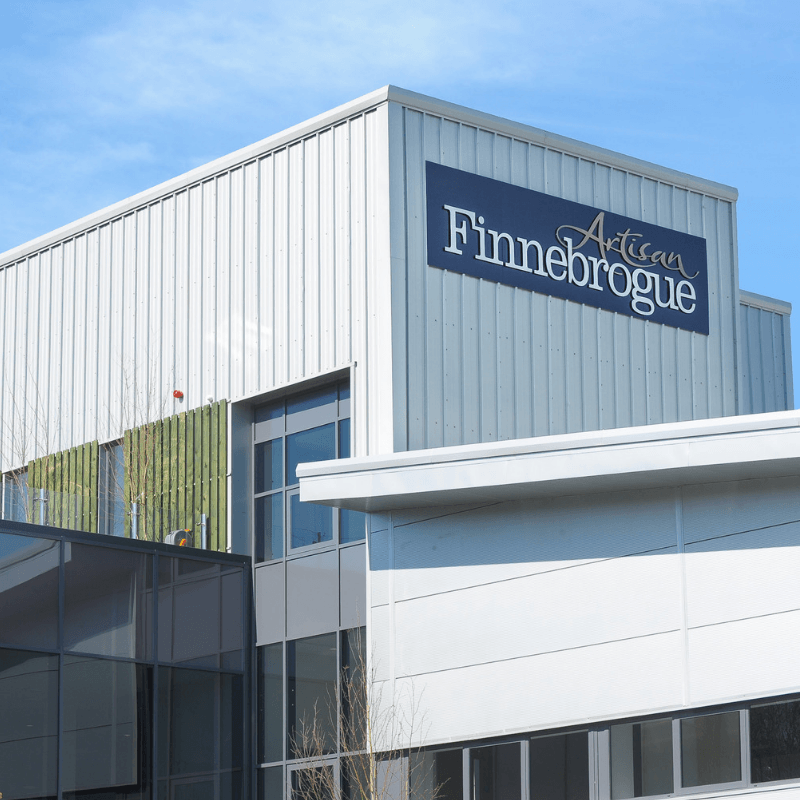 The foundations for success where established in 1985 and in 2016, Finnebrogue Artisan moved to its new state-of-the-art food processing facility in Down Business Park. With £24m worth of investment, the workforce increased to 320. Its passion to uphold its artisan butchery values and premium sausage making heritage remains as strong as ever.